086 864 9703 call today! Specializing in domestic appliances we guarantee a professional and efficient service every time . 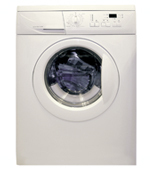 We cater to all makes & models of appliance and cover the whole North Dublin area. We aim to respond to customers requests within 24hours and our service record is impeccable, just visit our testimonial page which contains reviews from our golden pages listing, all local people who we have completed work for.